After leaving the site of my previous blog post, Migdal Afeq (Mirabel), I found myself at the bus stop on the main road just outside of Rosh HaAyin, heading for my next location: Tel Afeq (Antipatris). The summer heat was rather getting to me so I made a quick decision and flagged down a taxi to take me to the nearby national park of Tel Afeq. Dropping me off at the picnic areas, I took the shaded tables as an opportunity to dip into the pastries I had bought earlier that morning in Ramat Gan. 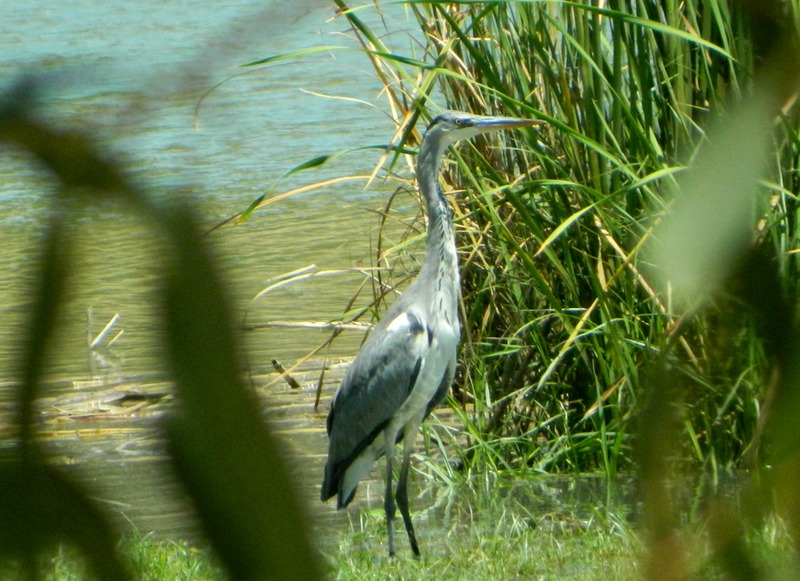 It was then that I noticed that my third destination of the day, Yarkon National Park, was actually considered a joined park with Tel Afeq and that the two of them were somewhat connected by a trail through some fields. 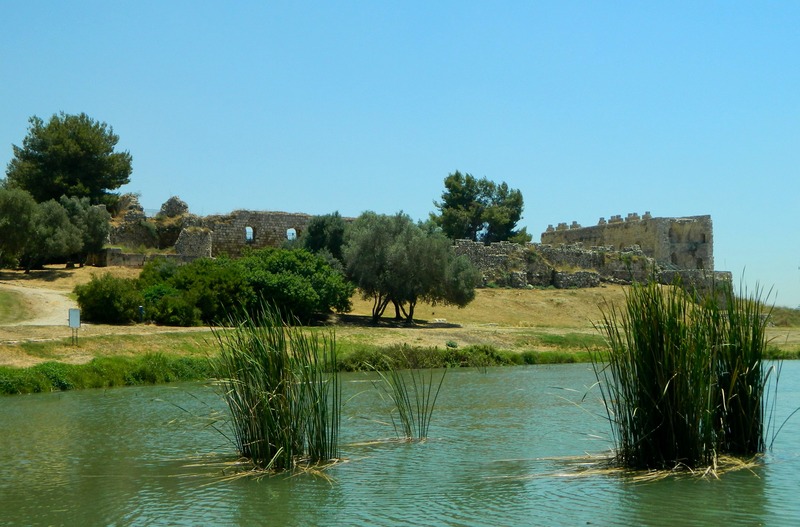 And so I started my explorations at the dry rain pond and headed for the Roman cardo. Along the cardo, an ancient main street, I came upon an odeum (a small Greek and Roman theatre building) and then a memorial for the 41 Jewish lives lost to the Alexandroni Brigade is offensive attacks on the Iraqi forces entrenched at both Tel Afeq and the Migdal Afeq area in 1948. 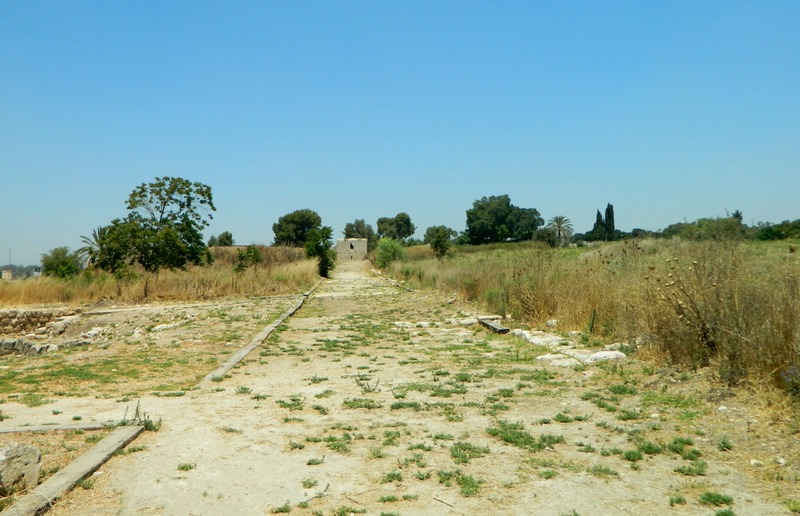 Historical remains on the tel extend back to the Chalcolithic period with notable ruins from the Egyptian/Canaanite times and the Roman era. Biblical Aphek is mentioned as well, having been the location of the Philistine camp during two disastrous battles with the Israelites, resulting in the Philistines capturing the Aron (or, Holy Ark of the Covenant). 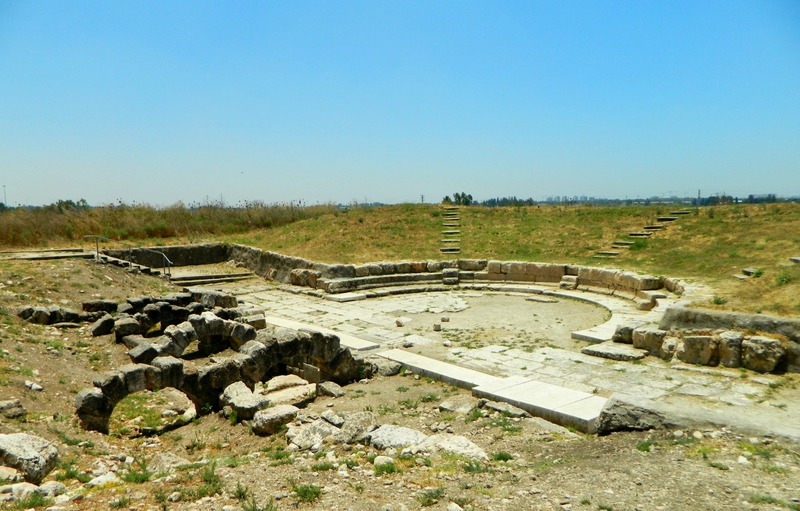 In the Greek period a city by the name of Pagae (“Springs”) was founded, just one of many in a historical timeline, all coveting control over the important Via Maris trade route. Herod created the city of Antipatris, named after his father, during his rule of the Holy Land in the Roman era. Antipatris as he knew it, filled with Jews, was destroyed by Vespasian during the Great Revolt some fifty-odd years later. Next along the cardo is the Roman forum and then the crown of the tel – the impressive Ottoman fortress known as Binar Bashi. 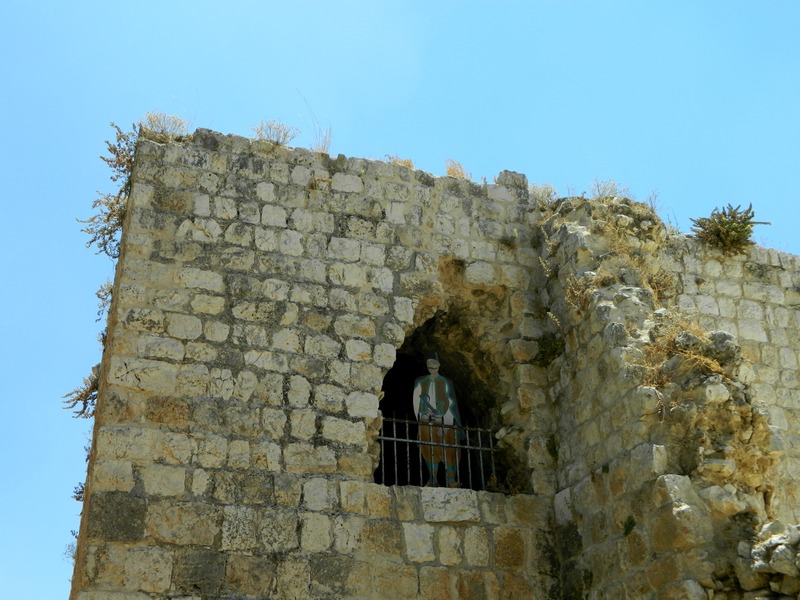 Built between 1572 and 1574, Binar Bashi was the first really important development on Tel Afeq since the existence of Antipatris. 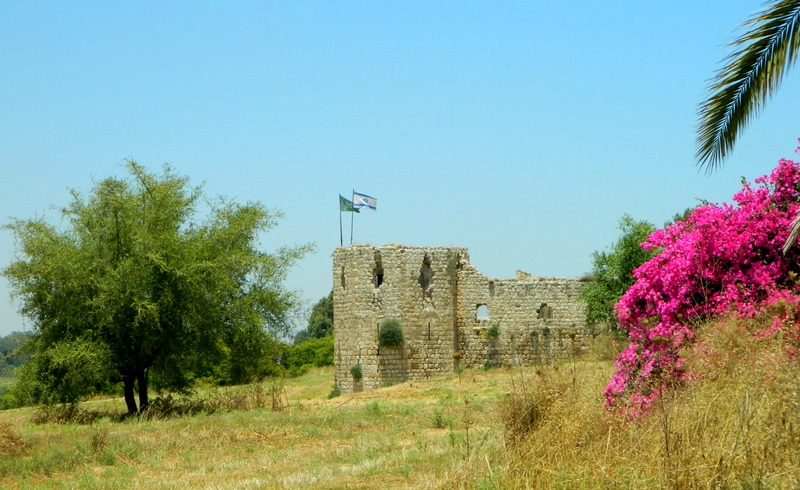 During the Crusader period, the land was part of a gift parceled out to Balian of Ibelin by King Fulk of Jerusalem, with castle Mirabel being the regional stronghold. 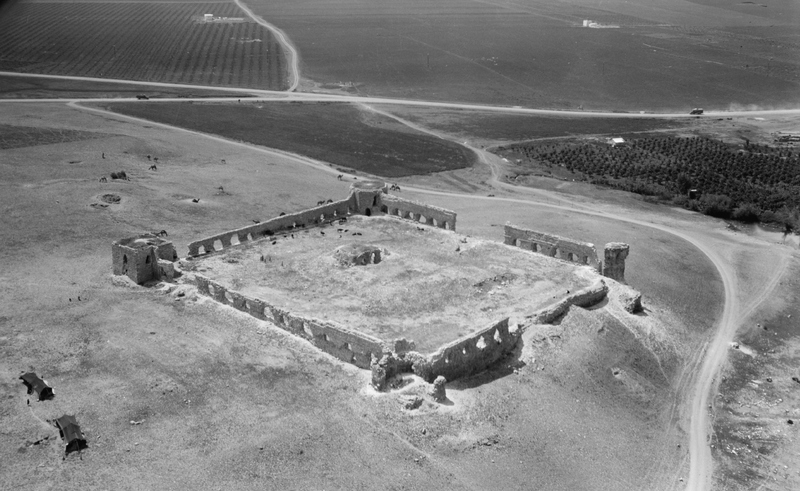 Tel Afeq was reduced to a district estate for the knights of the House of Ibelin. Binar Bashi (originally called Pinar Basi in Turkish, meaning “Head of the Springs”) was a fortified khan commissioned by the son of Suleiman the Magnificent. I was rather impressed with the standing of the fortress, especially the octagonal southwest corner tower. 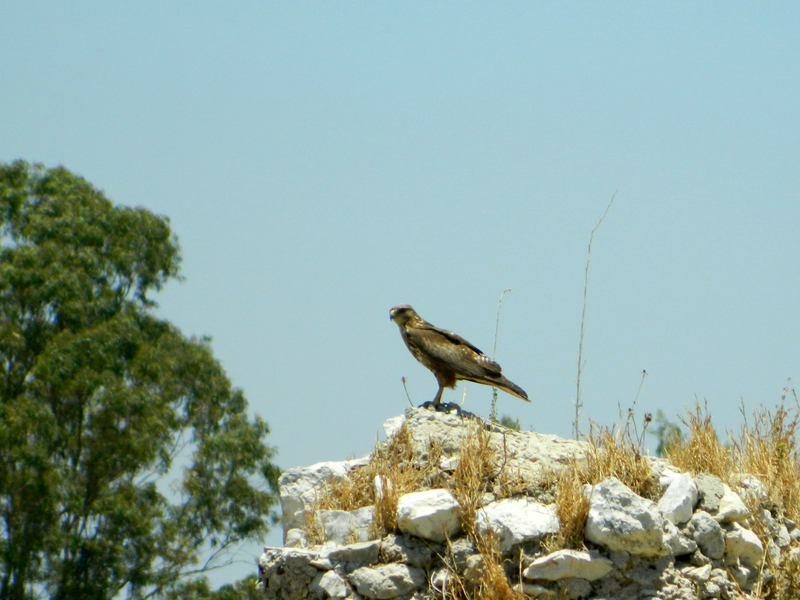 As I reached the northwest tower I spotted a raptor sitting on the ruined wall a little ways away. The bird you see below is none other than a steppe buzzard and minutes later he took off and was immediately heckled midair by some crows. Thank you master ornithologist Yoav Perlman for identification, for I am hopeless at Old World raptors. 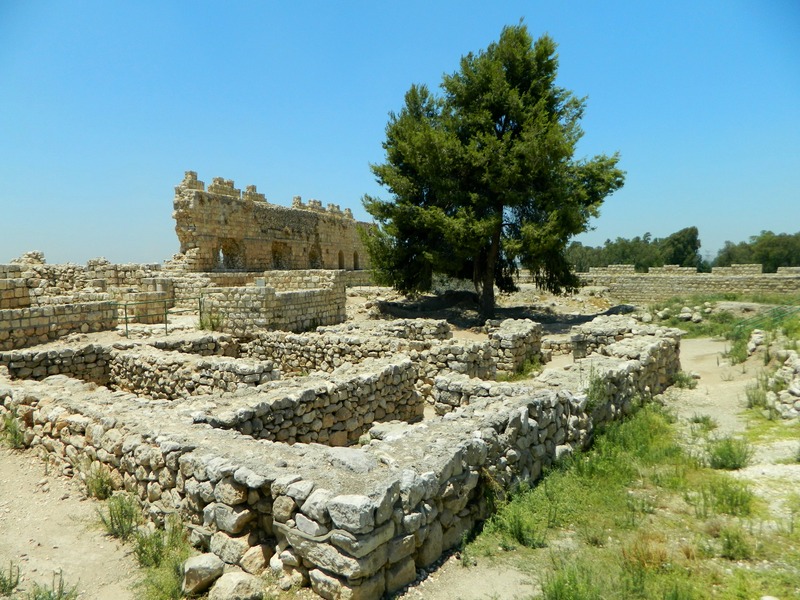 Returning to the stony ruins, I walked around the excavated and restored remains of what once was an Egyptian governor’s palace lording over the Canaanite royal city after the Egyptian conquest of the Holy Land (which culminated in their victory at Tel Megiddo). The size and quantity of Egyptian-era winepresses at Tel Afeq suggests trade significance for importing wine to the Nile Delta area. Leaving the fortress and its blisteringly hot and mostly unshaded courtyard, I then walked over to the British pumping station complex. Pockmarked by bullet holes in the concrete walls, this building was used by Iraqi soldiers, and subsequent to local victory, by Israeli troops during the War for Independence. 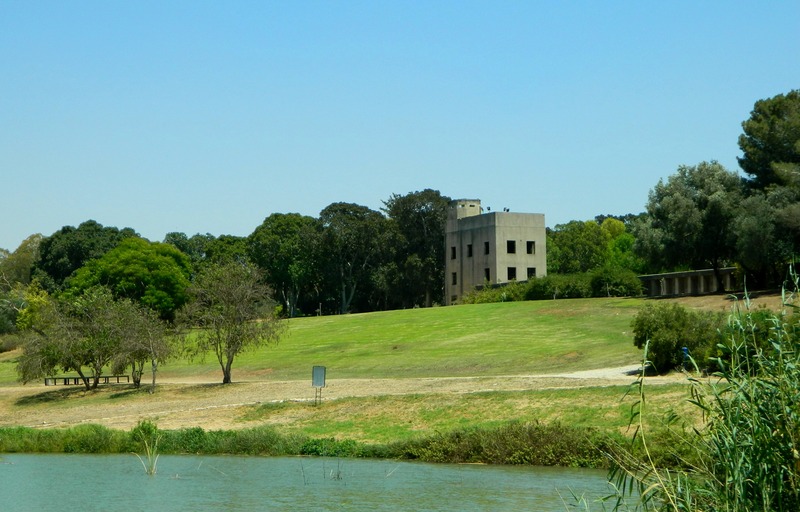 Built in the 1930’s, this pumping station was used to provide water for Jerusalem, as well as other local cities, sending the water to the water station in Latrun. With the Yarkon springs being the second most prosperous source of fresh water (after the springs at Tel Dan in the north), the British tapped into it and so do we – the discharge rate being some 200 million cubic metres a year. Looping around the water station, I walked along the slightly overflooded rain pool and enjoyed myself photographing the incredible lush view and the plentiful waterfowls. 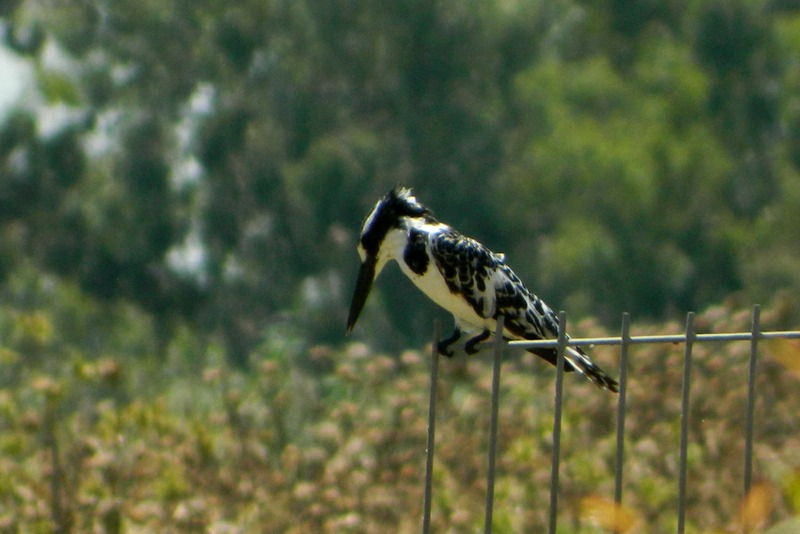 Ready to move on to the next destination, I said farewell to the pied kingfisher near the back gate of the park and began my walk through the adjacent fields alongside the springs and streams at the source of the Yarkon. Next stop: Yarkon National Park!